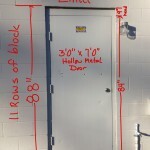 If you need installation or trouble shooting information The Steel Door Institute has you covered. 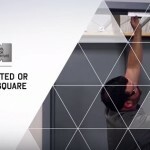 They have many instructional videos that would be great to pass along to your team or your contractors and customers. 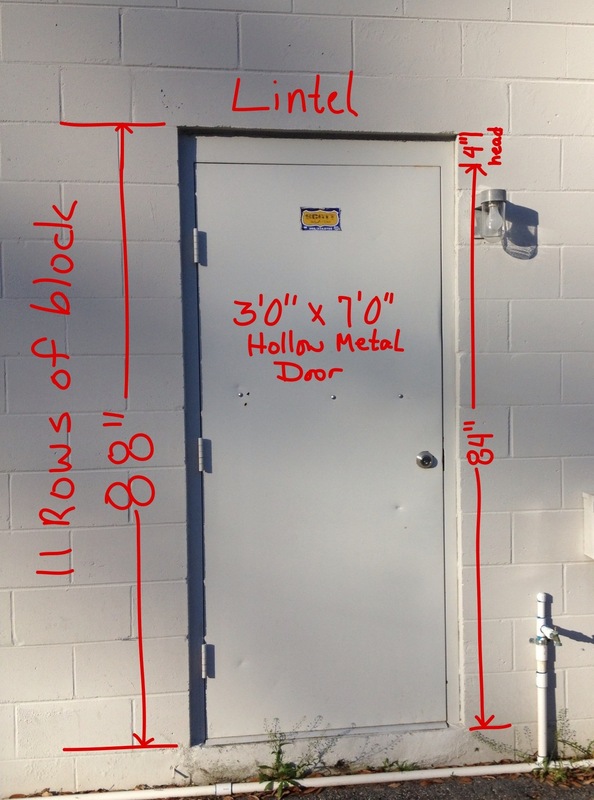 We run into this application most when dealing with masonry block walls. 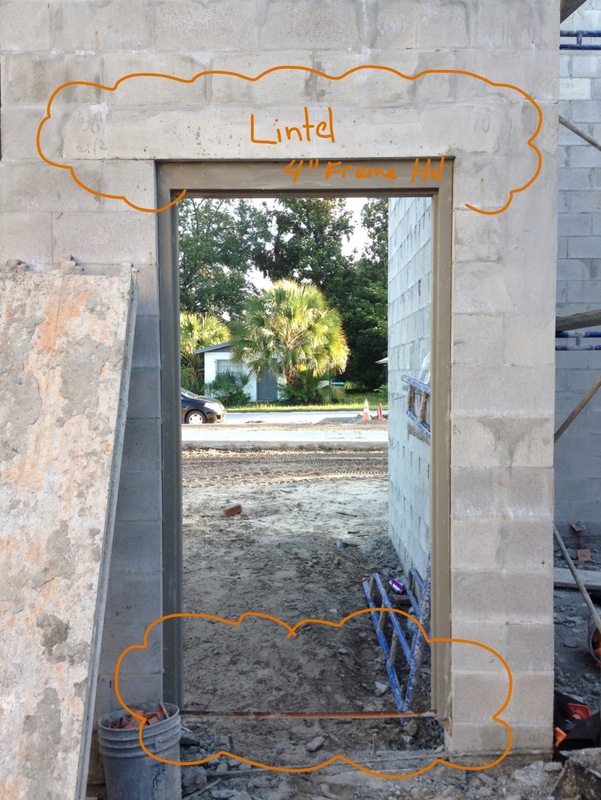 The use of the 4” head is all about the lintel. 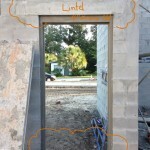 A lintel is a horizontal architectural member supporting the weight above an opening, such as a window or a door. The picture to the left shows the frame floating above the ground. The mason told me that this was the result of the block being laid prior to the foundation being poured. This way the work needing to be completed before the foundation, such as plumbing, wouldn’t hold up the overall progress of the project. Happy to see they used a masonry lintel for support! According to Merriam-Webster a kerf is a slit or notch made by a saw blade or cutting torch. 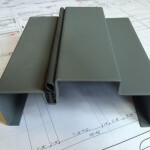 In hollow metal a kerf is a notch in the frame which serves as a channel to insert weatherstripping. The weatherstripping becomes an integral part of the jamb profile. 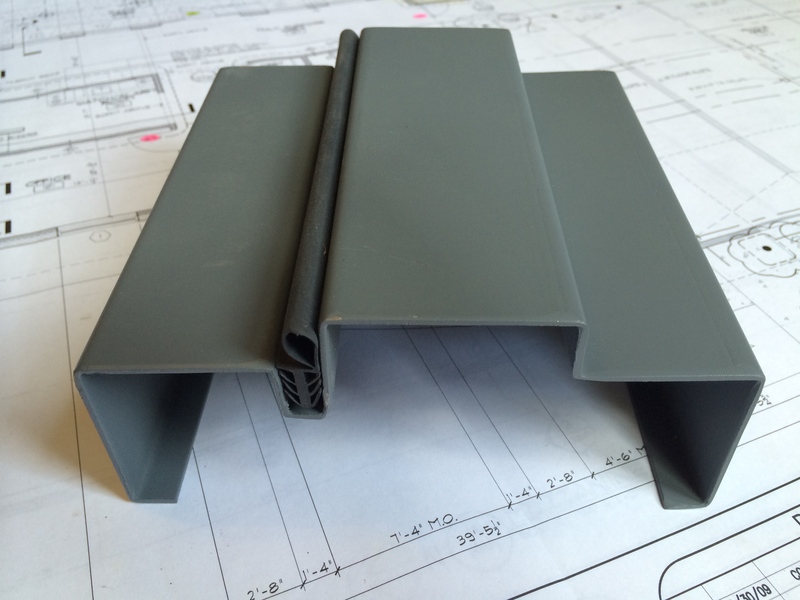 The purpose of a kerf frame is to reduce air flow and water infiltration increasing energy efficiency.